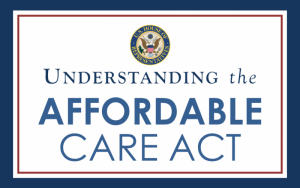 The Affordable Care and Patient Protection Act of 2010 has drastically changed the way businesses and employers provide health care coverage. As part of the ACA implementation timeline, employers with more than 50 employees must now provide coverage to their full-time employees or face penalties. How can your organization remain compliant with the new regulations? Some employers are looking for ways to cut costs by cutting employee hours, but this isn’t an ideal solution. Cutting employee hours will affect efficacy and productivity. It’s possible to meet the new regulations while minimizing expenses. The Affordable Care Act also penalizes plans with extremely high deductibles. A benefits administrator can help you find creative solutions for remaining ACA-compliant. For example, a younger, healthier workforce may not require extensive coverage, so matching contributions to a Health Savings Account can be a good way to control health care costs. Those who want more comprehensive benefits can elect to pay more. Talk to a benefits consultant to see what works best for your unique business demographic. Smaller companies are looking for ways to avoid ACA penalties by cutting hours and laying off employees, creating an ethical and fiscal quandary. To maintain employee morale and productivity, proper coverage is the key. ACA penalties may be, in some cases, cheaper than providing coverage, but medical insurance is a must-have for many desirable job candidates. A benefits administrator is an ideal partner in finding solutions that work for your employees and your organization as a whole. Get in touch with a member at Cypress to see how we can help your business attract employees while minimizing costs.